The question is, which shopping cart plugin should you use? There are just so many of them to choose from. I’ve compiled as many as possible and given you a quick rundown of their unique perks. Feel free to pick one of these, or recommend another I haven’t listed in the comments. It should be no surprise that this is the top of the list, since it’s the top of basically every list. The free WooCommerce plugin is a great e-commerce platform that is kept up to date and is both well developed and secure. There’s a reason it has over four million active installations according to the WordPress plugin directory. It integrates nicely with a wide range of other plugins and has more features than basically any other option. Only look to the rest of this list if there’s some crucial feature you can’t do without, or you can’t use WooCommerce for some reason. 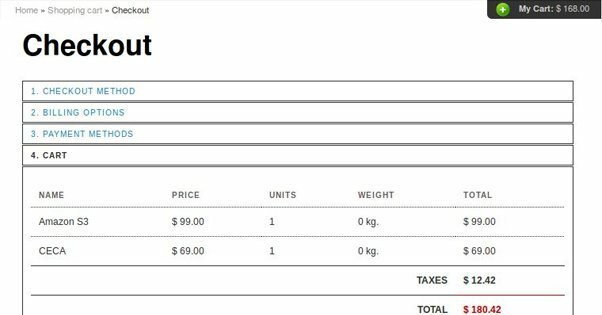 Another commonly recommended shopping cart plugin, this one isn’t nearly as widely used as WooCommerce, but it’s still pretty good. The free version only accepts Stripe, Square, and PayPal, while paid versions (for $69 or $99 per year) have a bunch more. The free version also lacks some more advanced features that can be useful for specialized niche or global brands, making paid plans more useful for those businesses. Developed by Reality66, Cart66 is a cloud-based shopping cart plugin. It outsources a lot of the advanced or complex features of a shopping cart, like security and digital product delivery, so you can focus your site resources on other elements of your brand. Their plugin directory page has a lot of tutorials for their features, which can be useful given that the plugin works in a manner different from other plugins. This is a very simple, very basic shopping cart plugin that allows you to use shortcodes to add a “buy now” button to any post with a product attached to it. All it does is integrates PayPal as a payment processor, so it’s fairly limited. It doesn’t cover other payment types, not even credit cards, and it doesn’t have all the inventory management, order tracking, or other commerce features some other plugins have. If it suits your needs, great; if not, don’t expect them to add more features. This cart plugin is great, with expansion plugins for its own features, themes, and compatibility across WordPress almost universally. However, I caution you if you’re interested in it. This is an illustration of a point I’ll make on a few other items on this list: it hasn’t been updated in over two years as of this writing. Always be careful using out of date plugins. They can open up security holes and there’s the possibility that a future WordPress update will break their functionality. If possible, choose a plugin with active development. Yes, here’s a second version of #4 on this list. 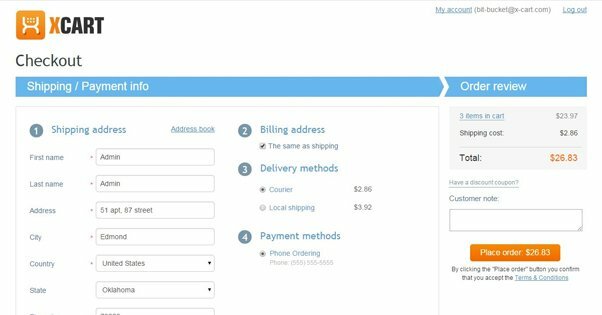 It’s another simple PayPal integration plugin that adds add-to-cart buttons to your site. Again, it’s very simple and it’s easy to use, but it’s also very limited in what it can do. It also hasn’t been updated in a year as of this writing, but it seems to still function as far as the reviews indicate. This is a third variation to the PayPal theme, but this one has a but more to it. For one thing, it’s more popular than the other two, and it has been kept up to date with recent development. It works with physical and digital products, integrates with responsive design, and supports coupon codes. It’s also useful for adding directly to your theme, if you want your button in a consistent place on every page of your site. This is a basic e-commerce platform plugin with additional add-ons for features like filters, Stripe integration, mini carts, top rated product feeds, and other such options. 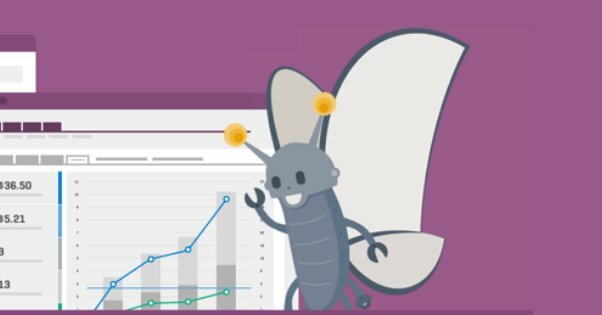 On its own, it works fairly well, but the expansions make it a good choice similar to WooCommerce. It has a paid version that gives a few additional themes, theme editing, PayPal Express, and some other features, all for somewhere between $30 and $100 depending on your plan. Selz is another functional, stable plugin with active development. It doesn’t have a ton of active installations, but from what I can tell, the people who use it like it a lot. It has nothing but positive reviews in the plugin directory. They also include free SSL, though that might not be the highest possible security, it’s better than nothing at all. It’s open source as well, in case you want to make modifications or create a fork of your own. Sometimes you don’t need integration with a storefront, you just want to sell some basic digital products. This is a great plugin if you don’t have a physical inventory to manage. You can sell anything from images to documents and e-books to media. 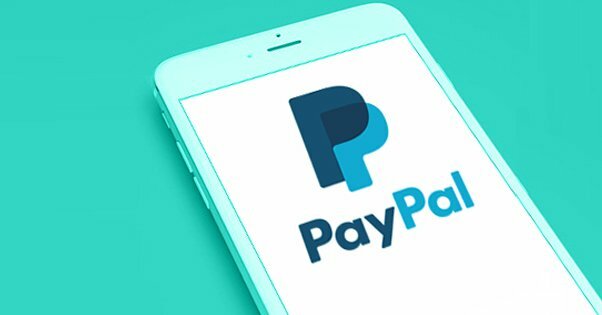 It supports PayPal and Amazon sales directly, and you can pay for a premium extension to add in Stripe, BrainTree, Authorize, BitPay, Coinbase, and others. The crypto integration especially makes this attractive for certain niche sites. Developed by Jigo Ltd, this is an update to a previous plugin that was basically abandoned. That old plugin is still available, so if you’re looking at one of the JigoShop plugins, make sure you’re using the right one. This one is nice in that it supports a store as well as affiliate products and digital products. It does need additional extensions for a lot of advanced features and additional payment processors, however, so make sure to calculate what you need for your store before diving in too deep. The Ecwid eCommerce Shopping Cart plugin is another of the reasonably popular options, with 20,000 or so active downloads. They allow you to sell globally and can automatically calculate shipping and taxes for 40 different international payment options and shipping methods. They also are one of the number one options for using a shopping cart as a Facebook app. 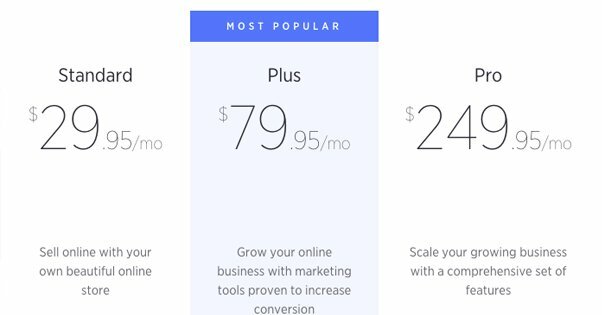 The free version is limited to 10 products at a time, but they have plans for $15, $35, and $99 per month based on how much usage you need. One of the many plugins created by WPMU DEV, this is a highly robust and very high quality plugin with a relatively low user base. It supports 15 payment processors, 120 currencies, both physical and digital products, tax calculation, invoicing, social sharing, shortcodes, and a whole lot more. They also integrate nicely with the other WPMU DEV plugins, though most of those are paid offerings. One of the only plugins of its type I’m going to cover, LaterPay doesn’t let you run a storefront on your blog. Rather, it turns your blog into a storefront. You basically create a subscriber gate and lock your content behind payments. You can create a full subscription, or you can choose each post to have its own payment. I don’t think very many websites are going to be able to use this effectively – the content-locked subscription is a dying business model – but it can be useful for the few of you who want to give it a shot. 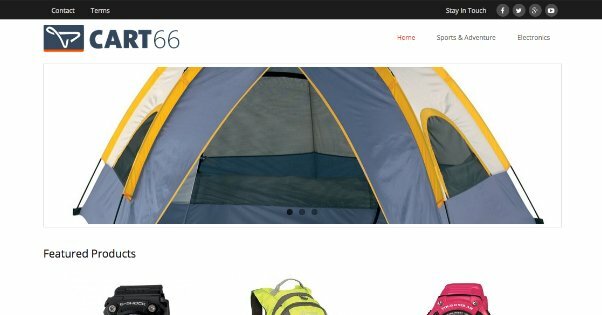 It might look like I’m linking to a blog post here, but it’s actually the product page for a web storefront plugin that’s a premium offering from Tips and Tricks HQ. You can sell both physical and digital products with a secure download manager, easy order tracking, and a quick and simple installation. It’s a pretty robust plugin that not many people use because there’s no free version. On the plus side, it’s not a subscription: a one-time $50 fee gives you an unlimited license, though you only get a year of tech support. You might wonder why Shopify, one of the biggest names in online commerce, is so far down on this list. The answer is that their original storefront plugin is gone, and this new one is basically just a simple buy button that costs $9 per month. If all you need is a buy button, you don’t need to pay that much. 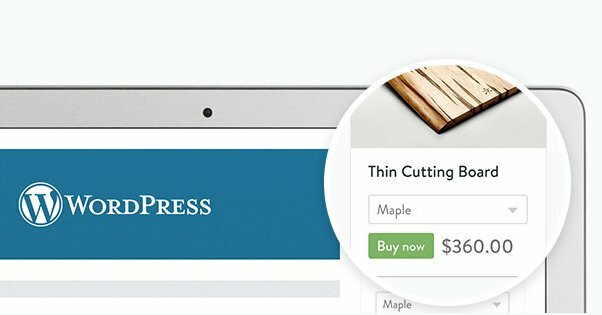 If you want a full Shopify storefront, you can certainly get that – the intro price is $30 per month – but it’s not a WordPress plugin, it’s a stand-alone commerce platform. There’s nothing wrong with that, but it’s outside of the scope of this post. NinjaShop was formerly ExchangeWP, which itself was formerly iThemes Exchange. The repeated name changes have dramatically changed the scope of the software, and what you have now is a fairly robust storefront plugin. You can get a free and open source version of the plugin, or you can pay $9 per month (plus a cut of revenue for sufficiently large businesses) for a more robust version of the plugin. Shopp is a shopping plugin with a lot going for it in terms of analytics and security. It has robust cart management, supports promo codes, has a related products widget, and can dynamically change pricing and details on product variants. It also scans for PCI violations constantly, in case that’s a concern for your site. You could do a lot worse, that’s for sure. One of the largest competitors to Shopify, BigCommerce is a fully featured and quite robust alternative to the #1 spot on this list. 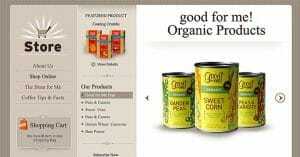 It integrates smoothly with any blog and can add in a storefront with as many products as you need. 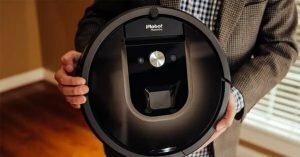 They have four versions available, one for $30 per month, one for $80 per month, one for $250 per month, with a top-end enterprise plan that scales based on needs. They are worth the price once you reach a point where you can take advantage of the features they provide, for sure. The downside, again, is that it’s not strictly a WordPress plugin. This is an outside the box kind of plugin and can be useful for some of you, but isn’t going to be a mainstream plugin. It allows you to operate user accounts where users can deposit cash in exchange for benefits like no-ads, subscriptions, and other features. Read more if you want to run a credit system on your site, but be careful you don’t step outside what you want to manage; handling that much liquid money can be a hassle. This is a plugin aimed at a specific kind of niche business; specifically, something like a travel agent. If you operate in a space where you book meetings, travel dates, and other such events, this is a great plugin to manage it. A very simple plugin that allows users to donate cryptocurrency to your account, for charity or for your own fundraising causes. It’s not strictly e-commerce, but it works well enough for what it does that I wanted to include it. A basic shopping card platform for running a low-tier web store. Frankly, there are better options out there, unless you really want to work with this developer. Another simple booking and calendar management plugin. This one has a few more options than the previous one, including some custom numbering and permissions management that can come in handy. I’ve already mentioned how a subscription-based content locker isn’t likely a great idea, and this is also not likely to be very useful, but you can give it a try. It gates your content and allows users to pay for it by receiving a text message that costs them money. It’s strange, but useful in very niche circumstances. 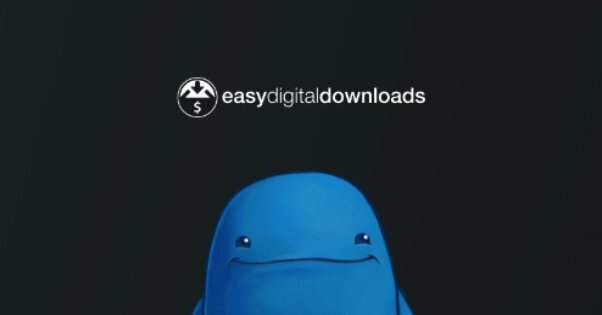 A very simple plugin alternative to Easy Digital Downloads. It supports a variety of payment methods other systems might not, like InterKassa, EgoPay, and Perfect Money. Might be worth a look for a small digital shop. Not much to say about this one. 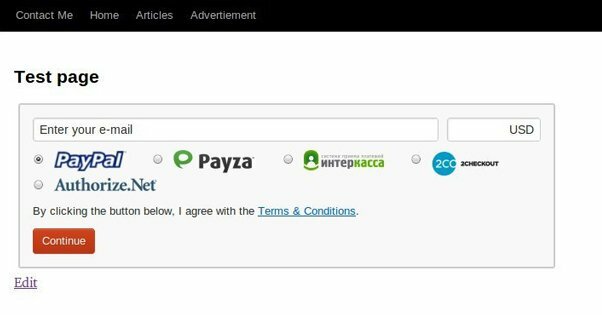 It’s another basic plugin to add PayPal buttons to your blog or storefront page, but it costs $15 from CodeCanyon instead of being free. This one used to be a really good plugin for selling products online, but it hasn’t been updated in over three years. I’m more including it for posterity than out of recommendation. Always pay attention to how up to date a plugin is! 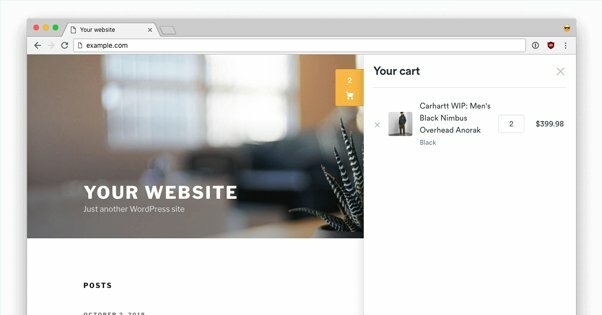 X-Cart is another of those big, non-WordPress commerce platforms you can use for your own storefront. This plugin integrates it with your WordPress installation. No, not Gorilla, Orilla. This is a bit of a sleeper hit; it’s a decent shopping cart program with a small but loyal fanbase. It’s not bad, but it falters simply because there are so many similar options with more of a reputation. Maybe give it a look?